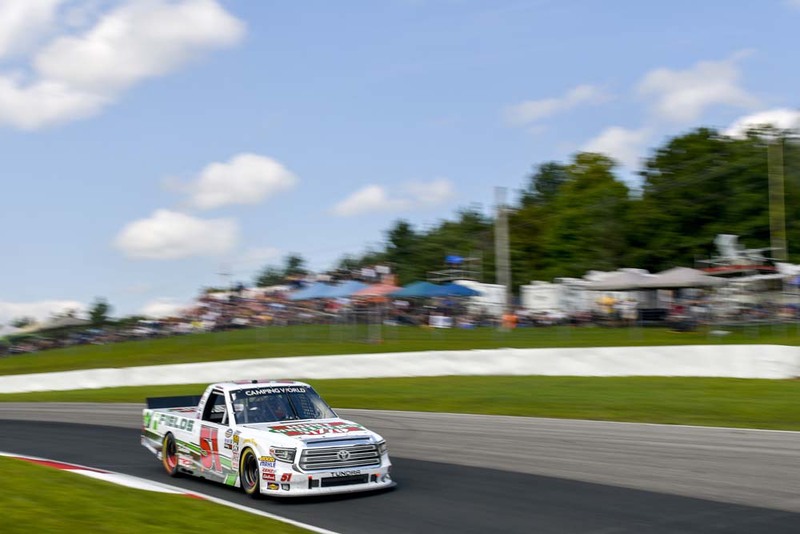 Harrison Burton made his first road course start Sunday in the NASCAR Camping World Truck Series (NCWTS) at Canadian Tire Motorsport Park (CTMP). His goal going into the race was to minimize mistakes and maximize track position since that is what it takes for a solid finish on a road course. Burton stuck to the plan, but a wild final-lap spin left him with a 13th-place finish. Burton started his No. 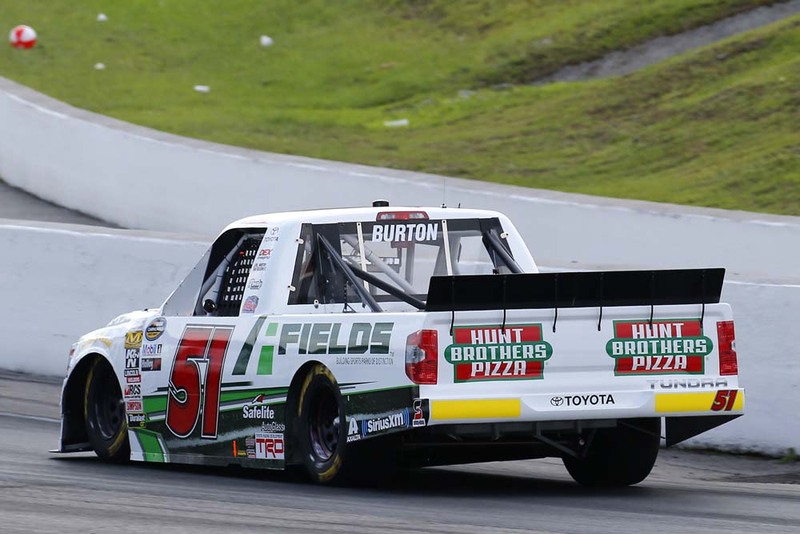 51 Hunt Brothers Pizza/FIELDS Tundra 14th after qualifying on rain tires on a damp track Saturday evening. He held his own and gained experience with each lap and finished the first 20-lap stage in 11th place. Burton pitted for four tires, fuel and an air pressure adjustment. Since some trucks had short pitted before the stage break, Burton was 14th when the race resumed on lap 25. He cracked the top 10 on lap 36, and on the next lap his crew chief Mike Hillman Jr., called him to pit road for fresh tires and fuel to help gain more track position after the stage break. Burton was 17th when Stage Two ended on lap 40. Having stayed out, Burton was up to seventh to start the final stage on lap 49. A tough restart after another caution dropped him back to 13th, but he never gave up. He was 12th with eight laps to go, but a caution on lap 60 set the stage for a two-lap shootout to finish the race. Burton remained 12th with one lap to go, but coming through the final turn the leaders spun in front of the field which created a chain-reaction accident. Burton was hit from behind and spun coming to the finish line, but he hit the gas when his Tundra was pointed straight and finished 13th. What happened on that two-lap shootout? Justin Haley won the race followed by John Hunter Nemechek, Brett Moffitt, Timothy Peters and Matt Crafton rounded out the top-five finishers. The No. 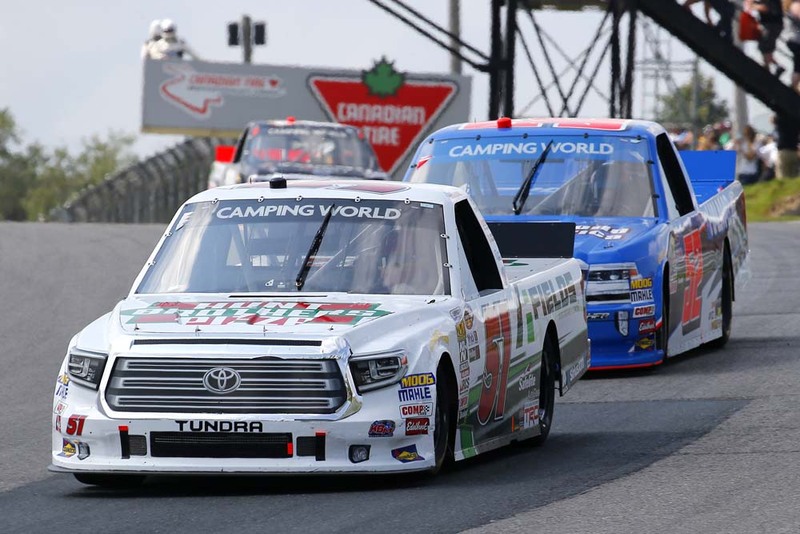 51 team is seventh in the Truck Series Owner’s Championship Standings, 40 points out of first. Brandon Jones will be behind the wheel of the No. 51 Tundra when racing action resumes in two weeks on Friday, Sept. 14 at Las Vegas Motor Speedway. Live coverage of the race begins at 9 p.m. ET on FS1.